[Free Pattern] These Are The Cutest Crochet Turkey Coasters I’ve Ever Seen! The truth is that there is almost no limit with this versatile square! 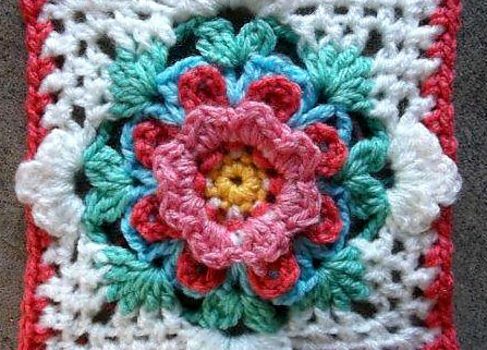 Suitable for a scarf or a jacket, this flower crochet square can also be used as a component in an afghan, a throw or a baby blanket. 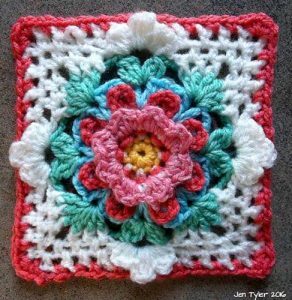 The French Connection Square by Jen Tyler is a pattern with extraordinary beauty and versatility which makes you think how a bit of creativity and imagination can come together to create such amazing design. smaller stitches for the normal DK. Finished Size: 5” – 5 1⁄2 squared. Size can be increased easily. Thanks to Jen Tyler for the article inspiration and featured image.